Been trying to get the Digitakt working with a CV.OCD and it works up to a point. I can trigger notes by striking keys on the Digitakt mapped to channels on the CV.OCD, but it doesn’t trigger from the sequencer. Mute is off. I can see that MIDI is being sent through to the CV.OCD at regular intervals as the blue LED flashes. I’ve tried changing the CV.OCD config without success. Is there anything in the Digitakt MIDI config I need to change to get this working with the sequencer? The Circuit I have has worked without a problem. have you got the latest firmware on the cvocd? 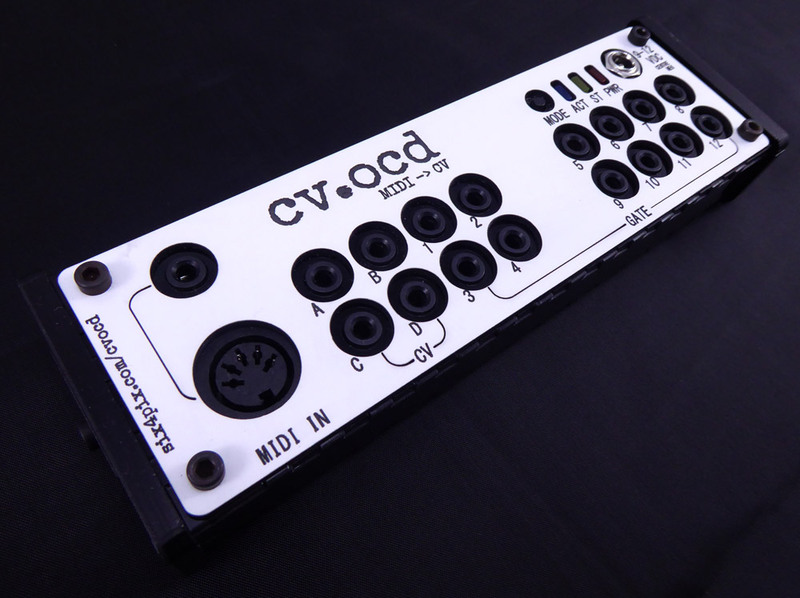 Standalone MIDI to CV converter box. 4 x CV outputs, 12 x Gates, super flexible configuration with tons of options and 0HP in the rack! I had issues with one of the earlier ones. Man, that thread title / product name!